For any assistance, please contact the local organizing commitee. 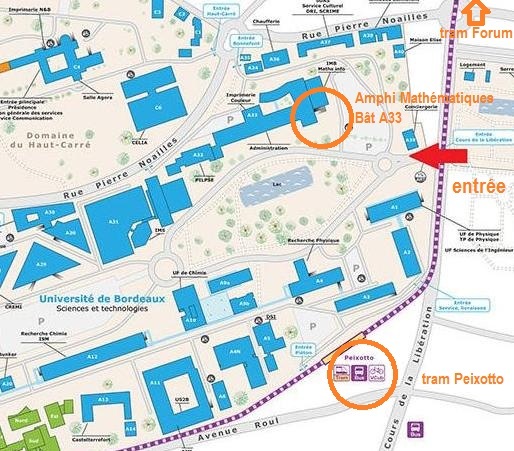 The workshop will be held in the "Amphi de Mathématiques Bât A33" of the University of Bordeaux, Campus Pessac-Talence. The presentations may be either in english or french (in such case, we request that the slides are in english). Participants are requested to manage their hotel or accomodation booking.